WASHINGTON, DC (September 29, 2015) – Iraq and Afghanistan Veterans of America (IAVA) and Defense One are once again teaming up for a special event on September 29 to discuss the future of veterans in the United States. The event, “Continuing the Conversation – Veterans: The New Battleground,” will bring together top military, political, civic leaders and experts working on essential issues facing today’s veterans. From Congress’ assessment of the Department of Veterans Affairs (VA), to women in combat, this event will explore challenges and examine the way forward for the new greatest generation. Sen. Richard Blumenthal (D-CT), Senate Committee on Veterans’ Affairs will be the keynote speaker for the event, joined by Post-9/11 Veterans Caucus Co-Chairs Rep. Tulsi Gabbard (D-HI) and Rep. Scott Perry (R-PA) and Representative Jeff Miller (R-FL), Chairman, House Committee on Veterans’ Affairs. 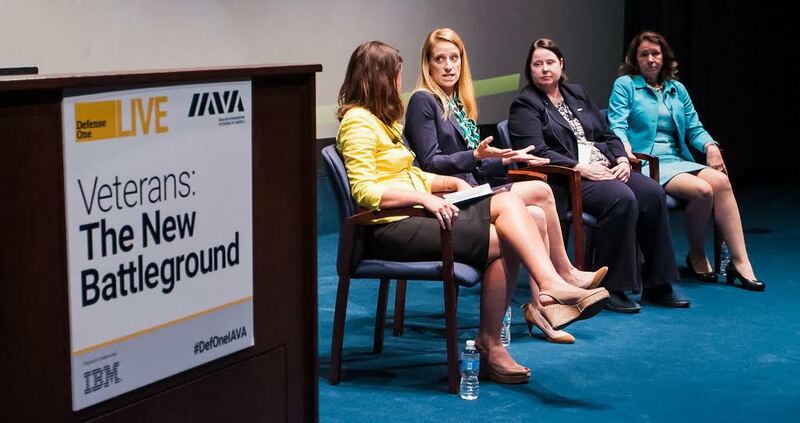 In 2014, Defense One and IAVA teamed up for the first “Veterans: The New Battleground” event focused on suicide prevention, reforms, job opportunities for veterans and the military-civilian divide. This year’s event will be held at the Naval Heritage Center in Washington, D.C. Admission is free to all IAVA members and other interested participants can register at no cost here. About Defense One: Defense One (www.DefenseOne.com) is a digital and events media brand that informs the U.S. defense and national security leadership community by delivering news, breaking analysis, and ideas on the topics and trends defining the future of defense and national security. Produced by Government Executive Media Group of Atlantic Media, Defense One offers new voices and innovative, fearless commentary while providing national security leaders, influential professionals, stakeholders, and interested citizens across the defense spectrum with the information that they need.